In the world of advertising the expression commonly used is “perception is reality.” Moreover companies are often branded by customers. If I say IBM, you will say mainframes. Oracle? Databases. Sometimes I feel it is my job to help uncover companies who have a broader portfolio of products than is generally appreciated. Case in point is Fluke Networks. OK, admit it. You are thinking yellow portable handheld testers. Right? Well your perception is fairly common and this is exactly my point. Moreover, it is why I went to the company’s Washington state headquarters and had a briefing and then had yet another briefing on the east coast last month. I might add that if you are looking for exercise but don’t like the gym, a job at Fluke Networks may be just what the doctor ordered. The campus us huge! While catching my breath in the company’s conference room I had a chance to absorb more about what this dynamic organization does in an effort to not only set the record strait but to help purchasing decision-makers understand how Fluke could help them in their careers. Fluke recently launched a solution called Visual Performance Manager (VPM) to enable effective enterprise performance management. The new product solves a number of enterprise problems. For example, it allows centralized LAN/WAN visibility of remote sites for monitoring and troubleshooting. There is also WAN management capability allowing for monitoring and troubleshooting. Another interesting capability is in-depth traffic analysis of applications. VPM also allows the use of probes if you so choose and there is connectivity to 3rd party products and applications. Furthermore, a web interface can report up to HP OpenView, IBM Tivoli or CA Unicenter. During my conversation with Jeffrey Lime the Senior VP Marketing and Dan Wright the Public Relations manager, one sentence that came up which caught my attention was “Network supervision is the hallmark at Fluke.” They continued by accentuating the fact that this product is an open system which answers the needs of today’s IT manager. So how does VPM fit into the IP communications space? Well, it allows you to see performance on a phone call to phone call basis while witnessing every segment in-between. In other words you can see the call quality -- including MOS scores -- from the LAN to the WAN to the LAN. You can actually see if a segment has a problem and determine that a large file download killed the quality of a conference call. One of the specific areas the company can help you with is determining if a problem you are having is due to your applications or network. Of course it could always be both. Lime and Wright explained the CTO now has a tool allowing better visibility which means faster mean time to root cause. Another goal of this solution is to be expandable. The company really wants prospective customers to be aware of this fact. For example, Packeteer is already integrated in and they are working with other companies as well. In addition, a feature worth noting is unique views which allows a CTO and engineer to see different perspectives of networks health. During the conversation, I had a chance to ask about the recent Danaher acquisition of Tektronix. 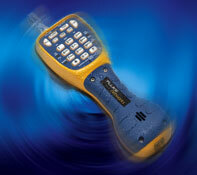 As you may be aware, Danaher also is the parent company of Fluke. I was told Tektronix will be become part of the electronic test platform which includes Fluke, Fluke Networks and Fluke Biomedical. They think this is a complimentary acquisition as Tektronix has more of an R&D and mobile wireless testing focus and Fluke focuses more on the wired space. Danaher is a conglomerate with market capitalization north of $25 billion and impressive stock growth. In summary, many large companies face a difficult challenge in managing end-to-end performance of user quality of experience across applications including VoIP and video. This becomes more challenging as companies become more geographically dispersed. Fluke’s Visual Performance Manager is designed to be the solution which helps corporations get a better handle on what is happening on their networks so as to optimize performance across the board. I have to be honest. I went into my various meetings thinking of Fluke Networks as a company which makes a dizzying variety of popular yellow testers and I came away realizing the company has a broad portfolio of tools to help manage enterprise and service provider networks. Perhaps most importantly it provides tools allowing IT staff to analyze IP communications and applications simultaneously – something very useful for virtually any organization. Granted this doesn’t roll off the tongue like mainframes or databases but perhaps that is a good thing. Danaher is a conglomerate with market capitalization north of \$25 billion and impressive stock growth.